Camp H20 is a day camp located at Georgia Aquarium for children grades one through six. Each age group (groups listed below) provides campers with hands-on learning experiences within Georgia Aquarium’s educational facilities and with some of the leading marine biologists in the world. 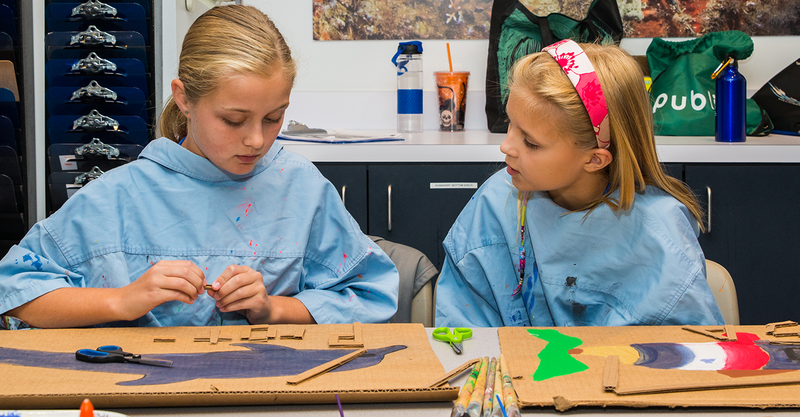 Kids will have the opportunity to learn about marine habitats, explore aquatic animals, gain new skills and make new friends – all inside one of the number one aquarium in the U.S.
Pricing, dates and age groups are listed below. Campers will be immersed in the underwater world through hands-on learning experiences. Little ones will discover rivers and streams and as the group takes an educational journey to the big ocean – little explorers can find and learn big things at Camp H20! Payment is due in full when reservation is made. Reservations can be made through call center and online. Daily reservations only. No sibling discount. Campers will journey through Georgia Aquarium with the Waddlesworths, the aquarium’s newest spokespenguin family, and learn about their unique expedition from South Africa to Atlanta. 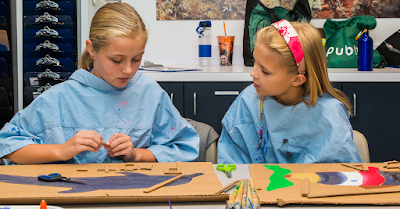 Campers will feel as though they are traveling alongside the Waddlesworths as they make a series of exciting world-wide stops during Camp H20. With the help of their handy travel scrapbooks, the kids will document their new discoveries and explore the aquatic world around them. Junior biologist campers will join Georgia Aquarium educators to observe how our amazing animal care team trains the animals, prepares their food and preserves the water in Aquarium exhibits. Campers will learn how Georgia Aquarium feeds the animals more than 500,000 pounds of food each and every year! This and more behind-the-scenes facts will be revealed during this unforgettable summer learning experience. Campers will be immersed in the underwater world through hands-on learning experiences. Little ones will discover rivers and streams and as the group takes an educational journey to the big ocean – little explorers can find and learn big things at Camp H20! NOTE: Camp themes repeat each week.